We’re talking about the positives and pitfalls of working with contractors & freelancers as part of your team. 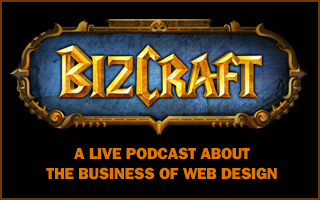 A back to basics episode, reviewing the various roles and jobs you can claim within the web design industry. What’s the difference between design and aesthetics? We’ll discuss this in as much detail as we can inside of 10 minutes. In this episode of Draft we talk about Mental Models. What they are, how to use it to your advantage and some instances where they don’t work out so well. In this episode of Draft we discuss side projects. We all have them, how do we make them successful and how do we use them strategically. In this episode of Draft we gripe about the Windows 8 interface, specifically those login “swipe” screens. In this episode of Draft we the idea brought to us by Josh Clark about complexity vs. complicated. Draft Episode 15: Why Sass? In this episode of Draft we talk about the merits and ideas behind pre-processors, specifically Sass. In this episode of Draft we discuss “designing in the browser” what it means for your techniques and how we work. In this episode of Draft we discuss “content first” and what it really means for the web design process. In this episode of Draft we discuss different approaches to designing the mobile version of a website. Break the myth that users are in a hurry and “on the go” when using a mobile device.